What better way of creating a healthy working environment than keeping your workforce at the top of their game? SF Hills & Drills Corporate Camps are ideal for interns to executives. The fitness activities are a great way to build team spirit and camaraderie, reduce stress and increase productivity around the workplace or office environment where performance matters. Boot Camp program activities include circuit training, obstacle course drills, core ropes, TRX, kick-box conditioning, weights, stabilization balance boards, stairs, hills, speed and awareness drills, team building exercises and much much more. 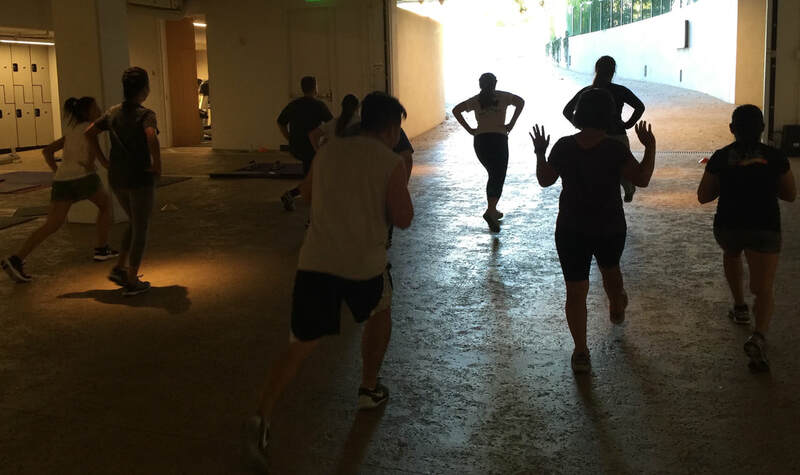 With the help of skilled instructor-trainers, we'll keep your executives, employees or group motivated and on point to achieve their individual fitness goals. We're equipped and ready to get you started. With well over 22 years of fitness experience, we got your back! The best part of our servicing is that we will come to you. So, don't wait any longer to get started. Sign Up! FOR PUBLIC / GENERAL POPULATION CAMPS CLICK HERE! Need help setting up a Home or Office Gym? Click here!